What Makes a Good Nutritional Supplement? What Makes Our Supplements Better Than the Others? Supplements in the USA are regulated by the Food and Drug Administration (FDA) so you need to check that the nutritional supplements you are taking are manufactured in an FDA approved facility. Nativorganics is proud to take pride in the details that make our supplements better. Remember: We don't just have your best interests at heart, we're looking after ourselves, our friends and family because we take these supplements ourselves at home, too! What the FDA doesn’t monitor is the fine details, which often make a big difference. The supplement doesn’t contain magnesium stearate. Magnesium stearate is the most common ingredient used in forming tablets because it’s a fabulous lubricant also known as a “flow agent”. The protective nature of magnesium stearate can theoretically make a drug or supplement veritably useless if the body can’t break it down properly. The supplement is made of plant/herb based natural ingredients rather than Synthetically produced vitamins. This is still a grey area but some research has shown that only a few compounds found in synthetic vitamins can actually be used by your body. The supplement is made in a Good Manufacturing Practices (GMP) facility. GMP are the practices required in order to conform to the guidelines recommended by agencies that control authorization and licensing for manufacture and sale of food, drug products, and active pharmaceutical products. We're so proud of the quality of our products and we believe fully in their quality and nutritional value. Try our products with a 30 day money back guarantee. FDA regulates both finished dietary supplement products and dietary ingredients. FDA regulates dietary supplements under a different set of regulations than those covering "conventional" foods and drug products. Under the Dietary Supplement Health and Education Act of 1994. 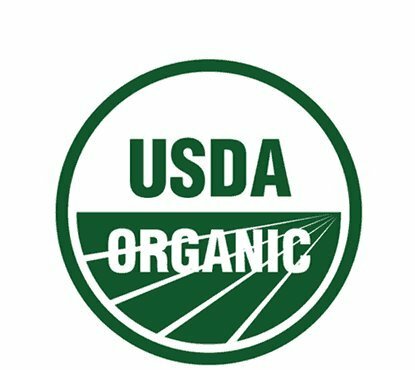 The "USDA Organic" seal means, the item must have an ingredients list and the contents should be 95% or more certified organic, meaning free of synthetic additives like pesticides, chemical fertilizers, and dyes, and must not be processed using industrial solvents, irradiation, or genetic engineering, according to the USDA. All our products strictly vegan meaning only using plant-based ingredients and our superbly unique capsules are pullulan capsules shells. Our supplements work so well because of the synergy in between the ingredients. Synergy means the whole is greater than the sum of its parts. Ingredient synergy is very important, but you also have to ensure your supplements contain whole, organic foods that are in their natural, fresh and unadulterated state. Shop in our store here.